PTI man secure­s 28,073 votes agains­t closes­t rival’s 14,983. 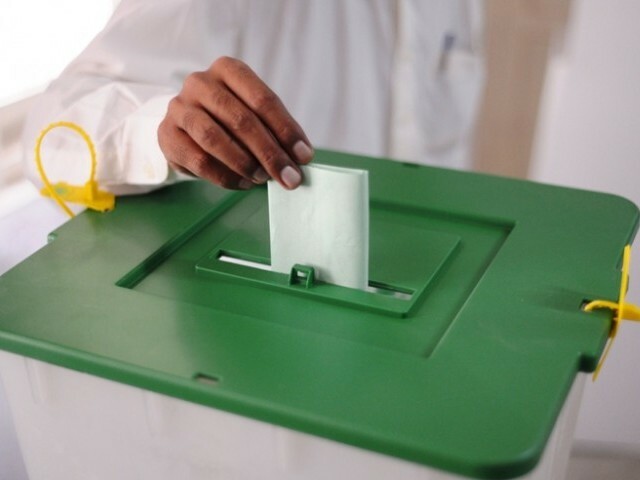 DERA ISMAIL KHAN: According to unofficial results collected from Dera Ismail Khan on Sunday, Pakistan Tehreek-e-Insaf (PTI) candidate Ikramullah Gandapur has taken the lead in the by-elections of the PK-67 constituency. Gandapur secured 28,073 votes, while independent candidate Fataullah Mian Khel secured 14,983 on PK-67 (DI Khan-IV). PTI candidate Ikramullah contested the by-election after his brother Israrullah Gandapur was killed in a suicide attack on the Gandapur Cottage in Tehsil Kulachi on October 16. After the death of PTI MPA Israrullah, his elder brother Ikramullah opted to contest elections despite security risks. PK-67 covers the area of Kulachi in Khyber-Pakhtunkhwa and is the most backward tehsil of DI Khan district. Ikramullah’s victory in the by-polls is a testimony to the Gandapur family’s deep-rooted political influence. The Pakhtun tribes of Gandapur and Mian Khel are the most prominent in the area, but the Gandapurs have a stronghold as Sardar Inayatullah Khan from the Gandapur tribe was elected to the K-P assembly in 1970, and also served as finance minister in the coalition government of Mufti Mehmood. He also remained chief minister of the province from 1973 to 1975. PPP trying to bring in its own mayor, says MQM's Naveed Jameel, asserting that PPP was trying to derail democracy. Special ink plays a crucial role in catching electoral fraud. Seat in Garhi Shamozai was left vacant after PTI MPA Israrullah Gandapur was killed in a suicide attack.